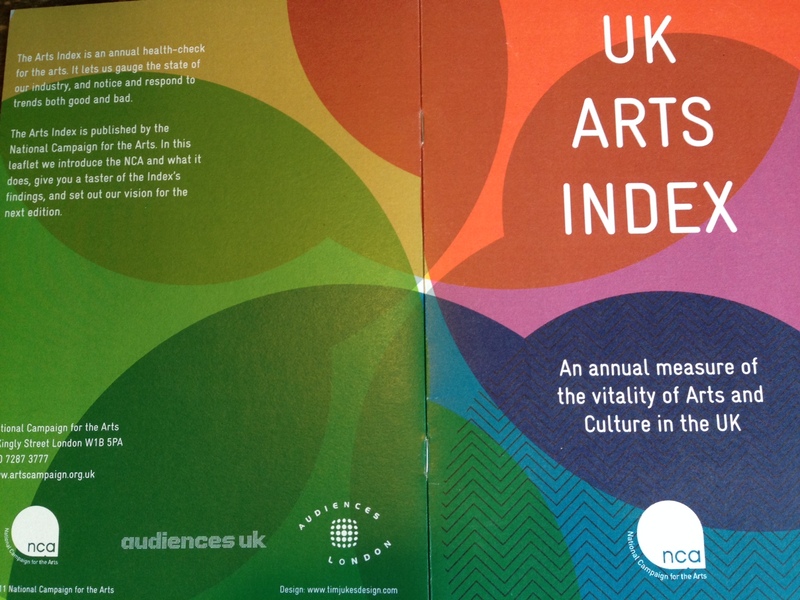 In 2011, we worked with the National Campaign for the Arts to produce and oversee the launch of the first ever UK Arts Index. Bringing together key data about the sector’s health for the first time ever, the inaugural Arts Index plots trends in tickets sales, corporate sponsorship, philanthropy and public sector funding, as well as other performance measures such as attendance levels for adults and young people, satisfaction levels and the number of people volunteering in the arts. The inaugural Arts Index summarised data from across three years – 2007/8–2009/10 – and was the first indicator of how the arts sector across the UK is faring since the economic downturn. As well as helping to compile and organise the data, we worked with the NCA team to produce a launch event at the House of Commons. The event, which took place in December 2011, was attended by: the Arts Minister, Ed Vaizey; the Shadow Arts Minister, Dan Jarvis, and Lib Dem Spokesman for Culture, Don Foster, as well as by other MPs and Peers and key figures from arts sector. In 2013 the National Campaign for the Arts published an updated Arts Index report, which you can find here.